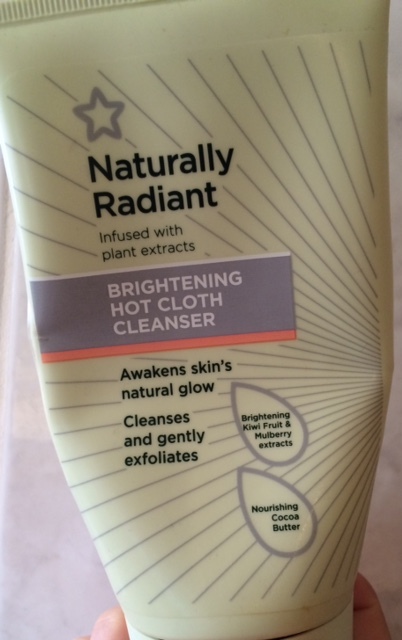 I'm a fan of Liz Earle's Hot Cloth Cleanser but I was after something a bit cheaper. I also am not too keen on the medicinal scent of the product. So, I spotted this Hot Cloth Cleanser in Superdrug a couple of years ago actually and decided to give it a try. This stuff is pretty amazing. It has a subtle floral scent and it's so so creamy due to the addition of cocoa butter. It moisturises the skin really well, the cocoa butter literally melts onto your skin when you rinse it off with warm water. The Liz Earle Cleanse and Polish also has a cocoa butter base so they really are very similar. Personally, I much prefer this one to Liz Earle C+P though and it would be a good option to try out a Hot Cloth Cleanser before shelling out quite a bit of money for one. If you have dry or sensitive skin, then you should try this product. It will do wonders for your skin - I have come back to it time and time again as it's so reliable.